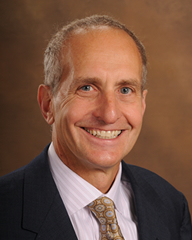 Mark Stewart, MD is a board-certified orthopedic surgeon. He attended Wayne State University for medical school and his orthopedic residency. Dr. Stewart opened his office in 1986. Dr. Stewart is committed to using minimally invasive surgical techniques to allow his patients to have the best recovery possible. Dr. Stewart treats a full range of orthopedic problems including the knee, hip, shoulder, spine, hand, foot, and sports medicine. Dr. Stewart performs surgery out of Bay Regional Medical Center.